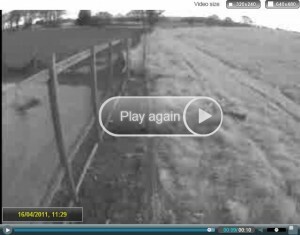 Over the last 12 months Camvista’s MeerCam rapid deployable self powered wireless GPRS mobile security video verification cameras are proving to be the fastest remote security solution for construction site security around the UK and Ireland. 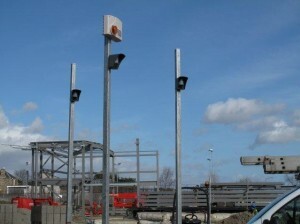 Many UK construction and house building companies are renting the MeerCams from our network of UK resellers on short term – 1-4 weeks, medium term - 4 – 16 weeks or long term rental aggreements 16 weeks plus at the fraction of the cost similar construction site security solutions such as CCTV mobile tower trailors, static manned guarding and CCTV monitoring site security solutions and because the MeerCams are 100% battery powered – power lasting up to 2 years, there are no expensive running and operating costs such as diesel fuel costs to run power generators on building and construction sites when operating CCTV monitoring security equipment out of working hours. Camvista are launching prior to the IFSEC 2011 Security Exhibition at the Birmingham NEC Conference Centre a new and very innovative low-cost online security monitoring camera application for their highly popular rapid deployable MeerCams battery powered GPRS mobile wireless surveillance camera systems – Remote Event. 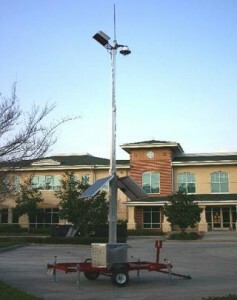 The MeerCam online camera management solution – Remote Event – easy to use management web-interface allowing users to not only remotely monitor the MeerCams via a password protected dedicated web-based platform but also greatly assists in the operating and management of the battery powered MotionViewer wireless GPRS security cameras. 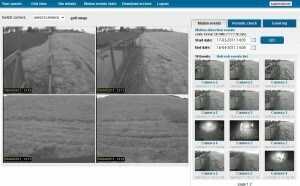 Online access to view camera snapshots of up to 20 cameras per site location to view periodic camera views of the MeerCams in security monitoring mode. 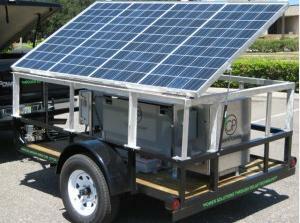 Remote Event can be configured to show one snap shot per day of each camera – twice a day – hourly – 12 hours – 24 hours. 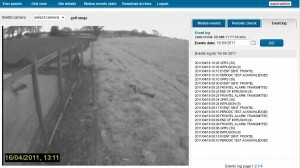 Event Log section – detailing management records of MeerCams being armed and disarmed – activation/intrusions – periodic camera checks – battery power strength of MeerCam equipment.Option to receive text or email alerts when the MeerCam system is armed and disarmed.